This composer never had a web presence. 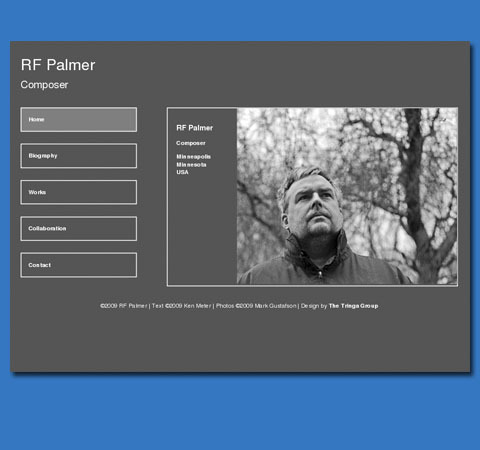 The site was designed to reflect the thoughtful, contemplative approach the composer has to his music. It also introduces a poetic collaborator. Link to website.